Peach and Japanese-made Apple mango is now the best ! 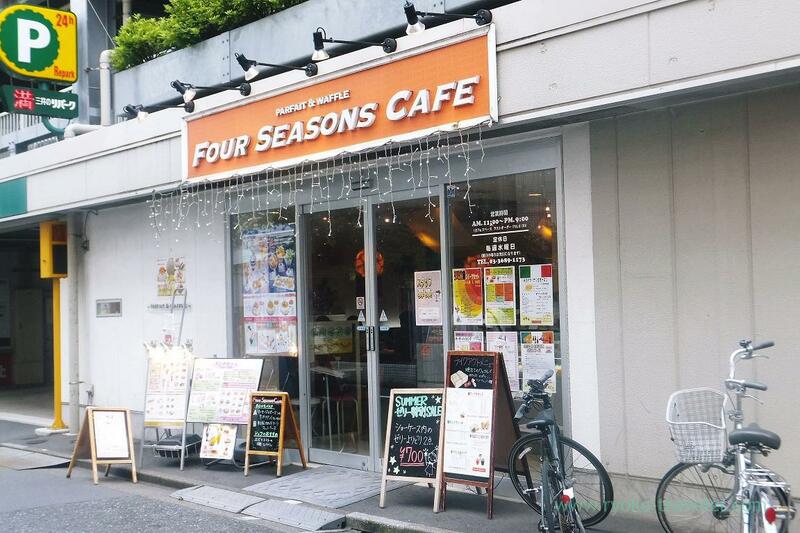 Speaking of shops serving delicious fruits, I remember Frutas, Fukunaga and this Four seasons cafe. We reserved our seats in advance. Though Fukunaga and Frutas don’t allow us to reserve, we can make reservation in advance. 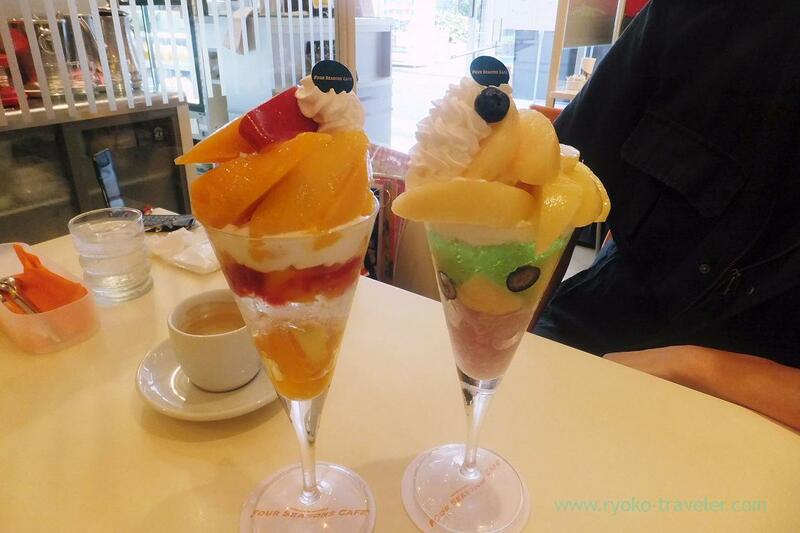 We shared Japanese-made Apple mango parfait (国産アップルマンゴーのパフェ, 1700 yen) and peach parfait (桃パフェ, 1200 yen). Both are the now best season. These parfaits are rather inexpensive than Fukunaga and Frutas because there are colorful jelly in the glass. Green jelly is mint. Those fruits were well ripped. 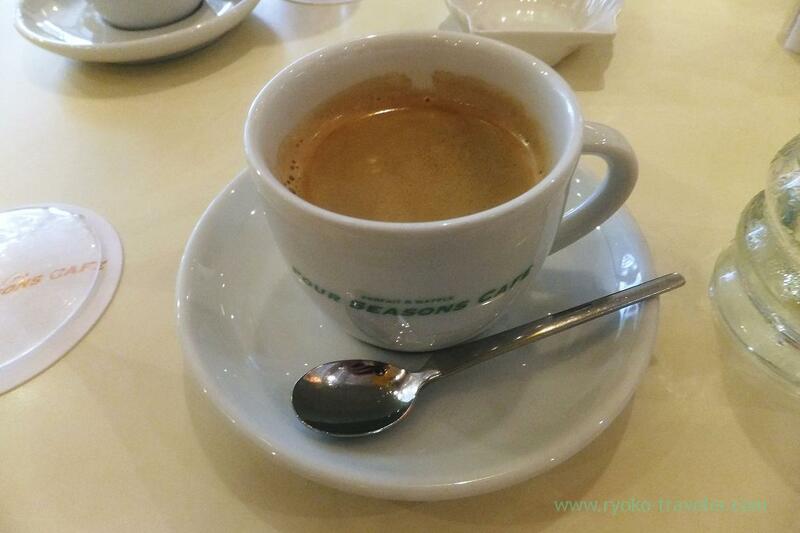 My drink was hot coffee (+200 yen). Seto Giants that I ate last time was delicious, too. And this season will be soon. So, I want to visit there again next month. After that, we walked to Gyosen park. Gyosen park is free of charge for admission and quite large park compared with another free park. We can enjoy seasonal flowers all year around. Cherry blossom, plum blossom, azalea, Japanese iris, rabbitear iris, hydrangea, autumn leaves and so on. 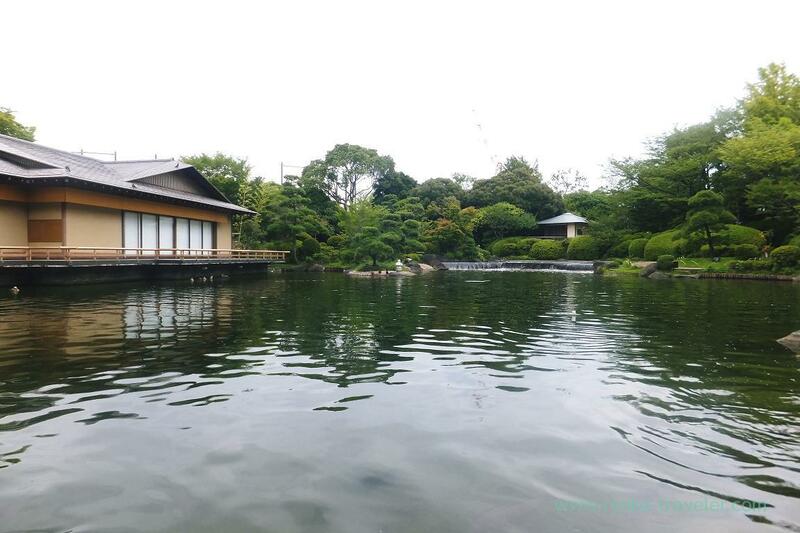 This park have beautiful Japanese garden. I used to eat bento lunch every day when I worked around the park about 10 years ago. Spring, summer, autumn and winter. Every season. Every day. I remember that time well. Compared with that time, the park’s conditions got better. But this beautiful scene has not changed 🙂 The park also have fountain and slider for children. And also there’s a fishing area. Though it is small, there’s a zoo within the park. Also admission free. 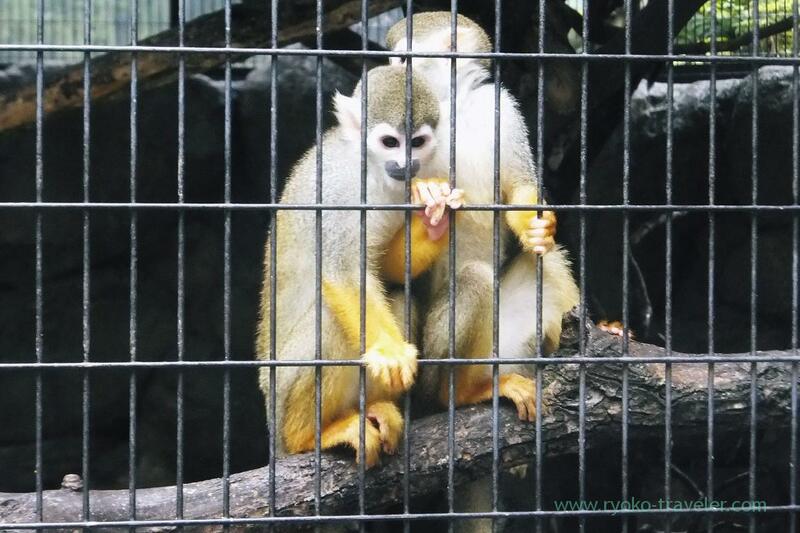 Almost all animals are monkey, birds and crocodile.